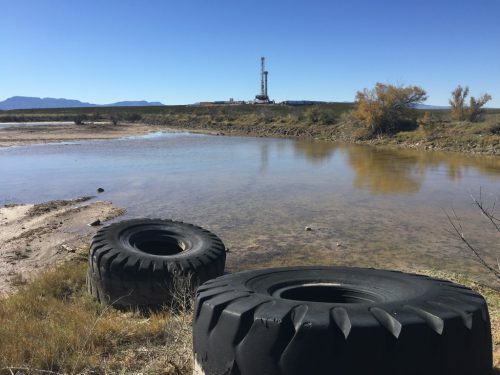 It’s been just over a year since Houston-based Apache Corp. announced the discovery of the Alpine High play, a vast oil reservoir in far West Texas. The company now says they predict they will be able to set up more drilling locations that previously thought. On Monday, Apache said it’s increased the number of potential drilling spots it expects to establish in the Alpine High play. Originally, the company believed there would be some 2 to 3 thousand drilling locations in the area. Now that number is closer to 5,000. John Christmann is Apache’s CEO. He said in a webcast that the Houston-based company is continuing to monitor and test the area. Apache says they have received interest from other companies looking to buy into their midstream infrastructure, which involves the transportation of their petroleum products. Apache says they’ve weighed their options in regards to their midstream infrastructure, ranging from retaining full ownership to a complete exit. However, Christmann says the company anticipates having some form of continued ownership in the enterprise for a long time. Editor’s note: An earlier version of this article didn’t clarify that the interest Apache has received is related to its midstream component of the project. This made it sound like Apache is considering a partial or full sale of their entire project.